Organizing your closets is one of the greatest gifts you can give yourself to make your morning routine easier. It can shave precious minutes, allowing you the option of either sleeping in a little later or marking a few items off your to-do list before heading off to work. An organized closet means it will take you less time to get ready for your day and will create less stress as your day begins. "Tidying Up" superstar has one thing right: When it comes to organizing your closet, it is best to take everything out and start with a clear and clean space. 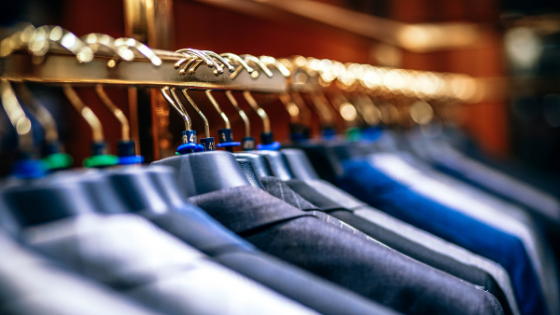 While the jury is still out on the whole “sparking joy” subject, it is a good idea to go through your closet at this time and toss anything that you haven’t worn in the last year, that no longer fits, or that you are hanging onto for the sake of other people rather than yourself. What this means is that the items you use frequently should be easily accessible and located front and center. Some people find arranging things seasonally helps with this. Put clothing and accessories that are out of season in boxes and place them on higher shelves, and then rotate items as seasons change. Avoid overcrowding your closet. This leads to clothing slipping off hangers and onto floors, which creates an unpleasant appearance whenever you open your closet doors. Instead, hang items loosely in your closet, and use clear plastic containers and drawers for things like shoes, belts, scarves, and tanks. Hooks can be incredibly useful to include in your closet. Use them to hang purses as well as baskets, which are great for storing accessories. They also help you take advantage of areas of your closet you may not otherwise utilize. Moving into a new Springfield, VA, apartment is the perfect time to get your closets organized. Contact us today to learn more about available floor plans for apartments in Springfield and to schedule your tour. Don’t forget to check out our impressive closets.